Taking an international flight to the China-Xi An, enjoy meals and entertainments on board. Arrival in Xian, the ancient capital city for 11 dynasties in Chinese history. 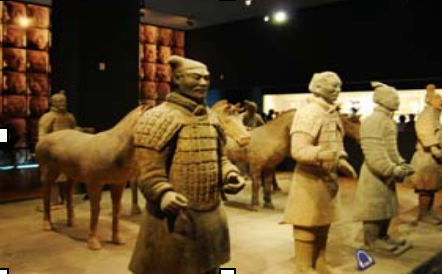 Upon arrival, proceed to visit Shaanxi History Museum, which has been regarded as “the pearl of ancient dynasties and house of Chinese treasures”. Then take an outside view of the Ancient City Wall. Internation and domestic air fare.